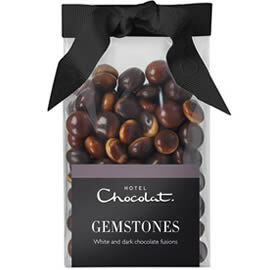 Hotel Chocolat Gemstone Chocolate Drops, pearls of dark and white chocolate, fused together with marbled white and dark chocolate. 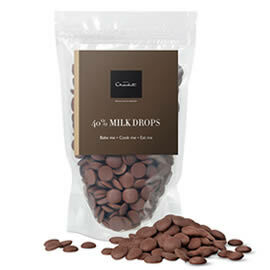 Hotel Chocolat Milk Chocolate Drops, easy melt baby buttons of gorgeous chocolate. Creamy and mellow with a real chocolate taste.